Dining Dish: What is Chef Annmarie Langton’s sign? 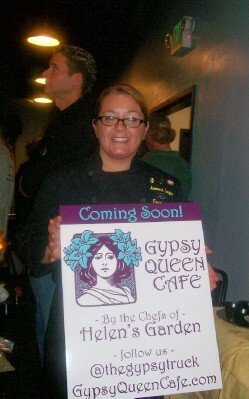 A little 70’s I know but Chef Langton’s sign is not astrological it is the sign for her new culinary endeavor, Gypsy Queen Café. You know Chef Langton from Helen’s Garden Cafe in Canton which was recently closed by its owners Tom Looney and Ed Scherer. Get the full story: What is Chef Annmarie Langton’s sign?